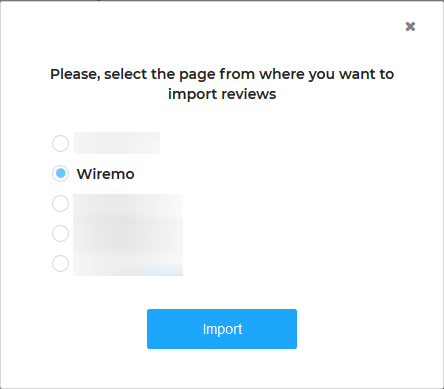 In this article, we will explain how to import your customer reviews from your Google Business Profile to Wiremo. How to import reviews from CSV or Manually? 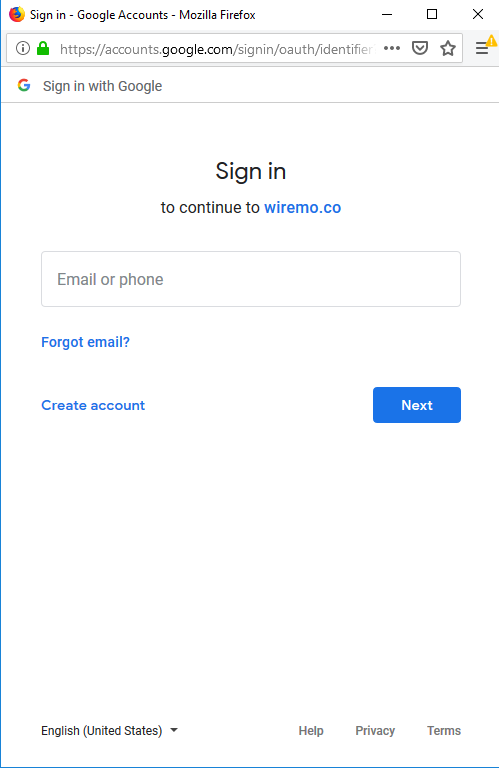 First, you need to login to your Wiremo Dashboard and go to Reviews (pin 1). In the right corner of the window press on the "Import reviews" button (pin 2). In the opened pop-up window press on the "Import from Google" button. Now you need to sign in to your google account to continue. 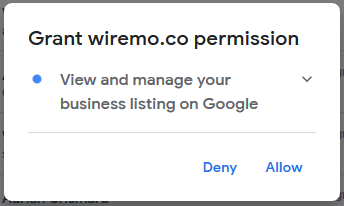 At the next step, you'll be asked to grant permission for Wiremo to manage your business listing. Check everything once again. To confirm just press the "Allow" button. 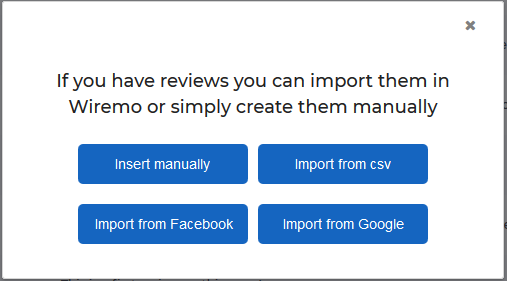 In case you have more than one business profiles, choose the profile you want to use to import reviews and press the "Import" button. Once you're done you will see a pop-up showing you how many reviews were imported. Important:We import only the reviews with text and the admin replies. 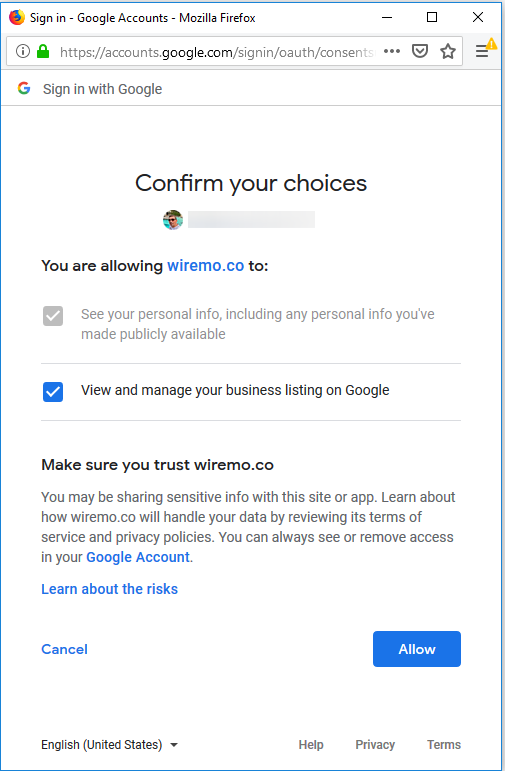 Important:After importing google reviews to Wiremo Dashboard it is very important to change the identifier and the reviews' URL. This way your reviews will be displayed properly. After importing the reviews the default identifier will be "pagename-page" and the default URL "host+/reviews/"
If you have any additional question please don't hesitate to contact our support team through live-chat or submit a ticket. Thank you for choosing Wiremo.